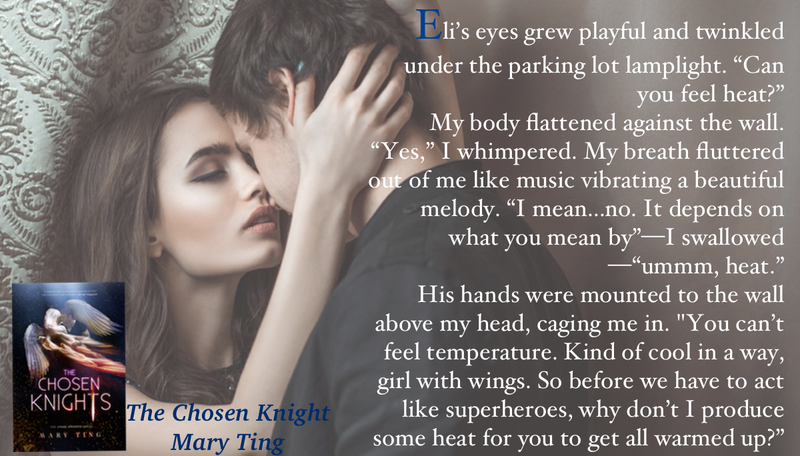 Review Tour for THE CHOSEN KNIGHTS (The Angel Knights #2) by Mary Ting! 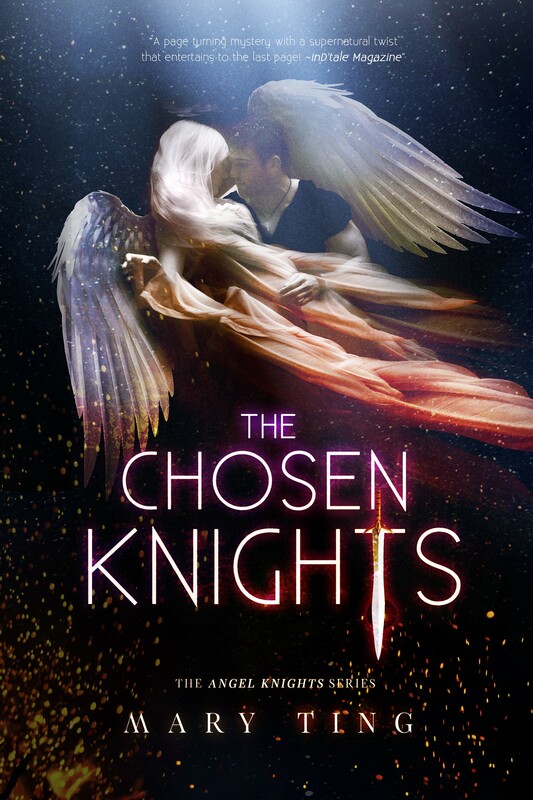 Add THE CHOSEN KNIGHTS to your TBR pile on Goodreads! “It’s beautiful.” I breathed. How this pendant, which was the size of his thumb, could give off so much light was unfathomable. 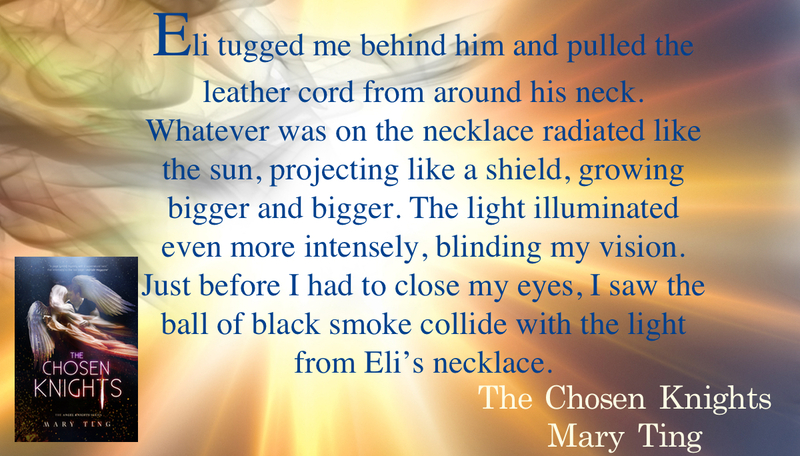 “Isn’t it?” Eli agreed, staring intensely at me while taking a step toward me. My heart pounded mercilessly from his words. A hint of playfulness was behind his tone, especially since he wasn’t staring at his pendant but directly at me. He took another step, followed by my backward step. We continued that way for several steps more until I bumped into a tree. “They’ll be fine,” he said. “Time stands still when we astral travel. It sounds strange, but we could be here for days, and only seconds will have passed in the present.” Eli stood before me with hunger in his eyes. The nearness of his six-foot-plus strong and masculine body caused fluttering feelings to erupt in my stomach. “What are you, Eli?” I tried to break whatever was happening between us because God help me, I was falling. This book is simply amazing, and I’m not just saying that because I got a free copy for review. The author has created a magical world with wonderful characters. The book has it all: mythology, magic, incredible depth of characters and emotions, beautifully written, lots of adventure and action. I love the plot, and I can’t wait to read the next book in the series. This is the kind of series and type of book that grips you with the first page and it’s impossible to put down or forget. The characters and storyline stayed with me for days after reading. Check out the entire Angel Knights series! Michael and Claudia’s decision to move back to Crossroads was to keep their children safe, but they can’t escape who they are. Their children, Zachary and Lucia, were destined to be demon hunters—Venators. From the age they were able to hold a sword, they were trained to become the best and to ensure they would become leaders one day. All is peaceful throughout the land until the Fallen and demons’ presences were felt in the between and on Earth. As the Venators investigate these locations, they will quickly learn how dangerous their lives are. Hearts will be broken. Teammates will lose their lives. And they will face obstacles which will test their faith. As danger grows, the fear of fallen angels and demons regrouping has the Divine Elders on pins and needles. Now, Zachary and Lucia, along with Uncle Davin, must prepare themselves—mentally and physically—to live on Earth to investigate where the focal point of evil resides before it’s too late. 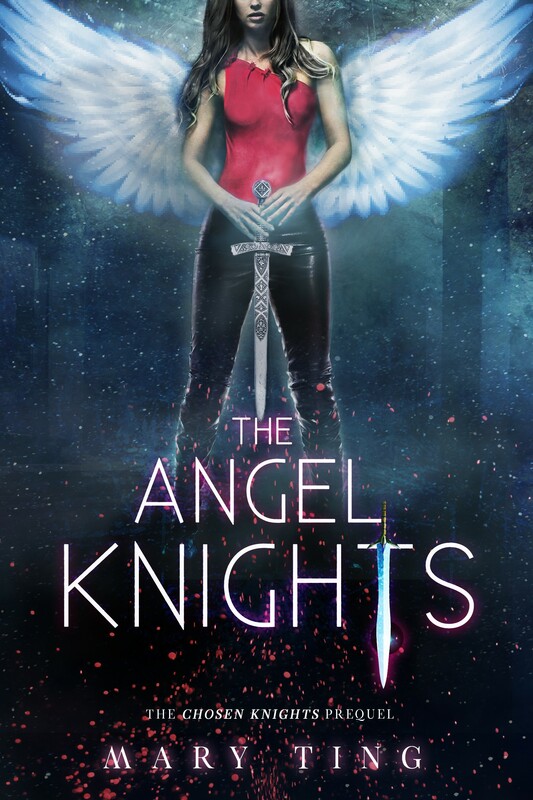 Add THE ANGEL KNIGHTS to your TBR pile on Goodreads! Eli, Lucia’s half-demon love interest, has been stabbed with a true-cross dagger and captured by Cyrus, master of the possessor demons. The Chosen Knights must work together once again not only to save Eli, but also to decipher a clue to find the second missing page of Jacques de Molay’s journal. Meanwhile, Uncle Davin informs Crossroads Divine Elders of the danger ahead and learns there is much more to fear. Countless children are being taken from all over the world to be turned into demons. Michael, one of the Divine Elders, has no choice but to intervene. The Chosen Knights track down Mortem, the demon who is the key to finding Cyrus, and learn they must travel deep into the pit of a Hawaiian volcano. When they astral travel to the past in search of a clue and follow Jacques de Moley to Roselyn Chapel in medieval Scotland, what they find will rewrite history. 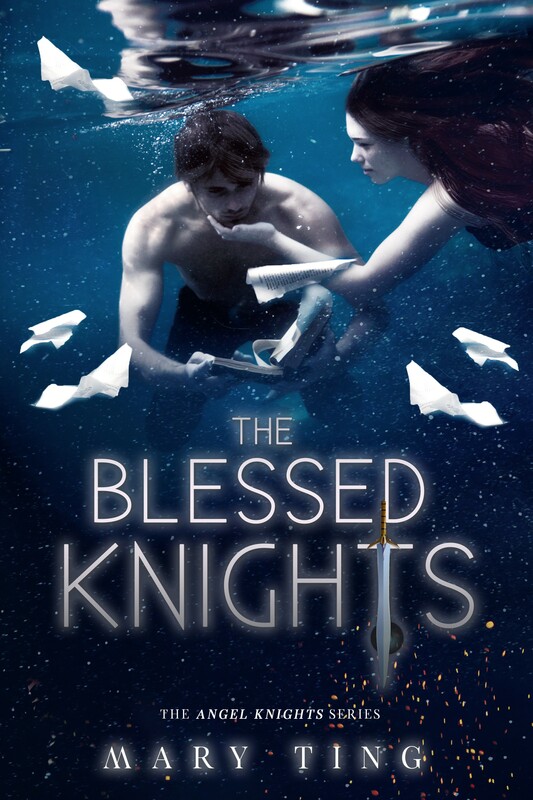 Add THE BLESSED KNIGHTS to your TBR pile on Goodreads! CELEBRATE THE REVIEW TOUR WITH A GIVEAWAY! 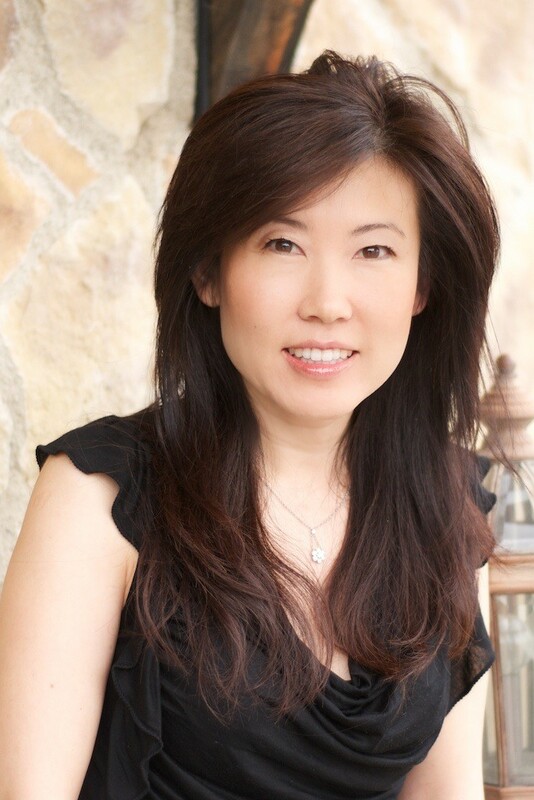 Intenational Bestselling, Award-Winning, Author Mary Ting/M. Clarke resides in Southern California with her husband and two children. She enjoys oil painting and making jewelry. Writing her first novel, Crossroads Saga, happened by chance. It was a way to grieve the death of her beloved grandmother, and inspired by a dream she once had as a young girl. When she started reading new adult novels, she fell in love with the genre. It was the reason she had to write one-Something Great.